Are you getting ready to sell your Loft? If you are, then you may be feeling overwhelmed by the number of tasks ahead of you. While selling your Loft is a big job, you can make it easier by taking it one step at a time. We’ve put together a simple to-do list that outlines what you’ll need to do as you prepare to sell your Loft. As you make the switch from thinking about selling to actually listing your Loft, take the time to determine your needs. Where do you want to be in a few years? What is your local housing market like? How quickly do you need to sell? Will you buy or rent a new Loft? Knowing the answers to these important questions will help you and your agent determine your Loft selling strategy. Go over your Loft in detail and determine if there are any small fixes you should make before you sell. Think like a buyer. If you were buying a Loft, what might stand out to you? This could include replacing faulty light fixtures or repairing holes in the wall. Selling a Loft can be a complex process, and working with a real estate professional can help alleviate some of the burden. Get recommendations for local real estate agents and interview a few of them. Choose an agent who has expertise in your local market and with whom you feel comfortable. Research the market in your area and look for Lofts similar to yours that have sold recently. Using these comps, work with your agent to set a realistic selling price for your Loft. Take into consideration how quickly you need to sell or if you have time to wait for the best possible offer. If you haven’t already, now is the time to clean and de-clutter your Loft. Remove bulky furniture and personal items. Thoroughly clean everything and consider repainting rooms with a neutral paint color. Do maintenance in the yard to increase your curb appeal, keeping in mind that first impressions are very important in real estate. Keep your Loft clean and fresh and ready for showings at all times. Now that your Loft is ready for listing, talk with your agent about a selling strategy. Where will your Loft be listed? Consider creating a website or Facebook page, and spread the word to family and friends. Talk with your agent about having a plan in place should you get multiple offers. Review all offers that are made and be ready to negotiate. Once you’ve accepted an offer, work with your agent to get through the escrow process. This will include choosing escrow and title companies and preparing for the inspection, appraisal and final walk through. Be ready to make any necessary repairs. Make a plan for moving out. While selling your Loft can be an intimidating process, it’s less stressful if you know what to expect. 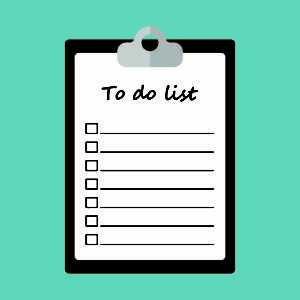 Use the to-do list above to help ensure that your Loft sale runs smoothly and ends with a deal that both you and the buyer will be happy about.